Tidewater Community College Board Chair Tom Wilson, 62, died Wednesday after a long illness. Wilson joined the board in September 2007 and became chair in 2012. He had one more year remaining on his term as chair. 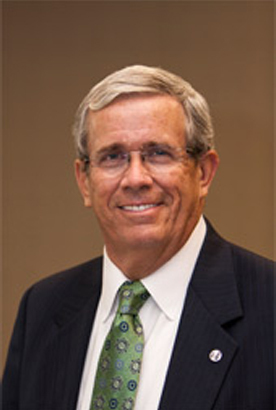 Wilson was deputy chairman and chief operating officer of Dixon Hughes Goodman, the largest certified public accounting firm based in the southern United States. He also chaired the Virginia Beach Division of the Hampton Roads Chamber of Commerce and was director of the Virginia Beach Neptune Festival Foundation. Wilson served on the boards of the Virginia Beach Public Schools Educational Foundation, Virginia Beach Vision, Inc., the Virginia Beach Rescue Squad Foundation, the Virginia Beach Library Foundation and the Virginia Beach Foundation. At TCC, Wilson also chaired the Resource Development Committee from 2009-2011 and served on two other committees. He held a bachelor of science in commerce from the University of Virginia. His wife, Rosemary, has been a Virginia Beach City Council member since 2000 and is the former vice chair of the Virginia Beach School Board. In lieu of flowers, the family suggests memorial donations to the Virginia Beach Education Foundation, the Virginia Beach Rescue Squad and the Virginia Beach Aquarium.